Albert Einstein wrote: The most beautiful thing we can experience is the mysterious. It is the source of all true art and all science. So the unknown, the mysterious, is where art and science meet. Besides LegoLand embodying a living, breathing demonstration of how Legos inspire children, Lego is making a fortune off the coolest kits around. Lego building requires everything from patience to vision. To achieve that vision, the builder needs good strategy. Strategy relies on mathematical skills. Everything from basic addition and subtraction to engineering skills blossoms when Lego’s pop into the picture. So, have students use Legos to demonstrate mathematical skills at each and every level. From robotics to engineering, Legos inspire learners. Visit www.legoeducation.us for more information. Mathematicians, whether they’re engineers or architects or otherwise, know the importance of technology so teachers need to utilize it when helping students understand the value of every lesson. At mathbydesign.thinkport.org you can find interactive games where students can design a park in the center of town. According to the Bridges Organization bridgesmathart.org, math needs art and vice versa. This organization plans an annual conference focusing on the connection between art and math. At their website, you can find a wealth of information on mathematics and art. www.biology.emory.edu Working in labs themselves, students then create art out of bacteria and fungi. Students create beautiful works of art with imaging technologies. Use that to introduce various lessons or a concept and the brain’s eye will attach itself to the particulars much better than simply assigning homework and moving on to an exam. Visit www.cmu.edu to learn more. Follow the guide to turn metal into gold. The fascination with the process sparks curiosity if nothing else. But because the foundation of solving equations can be identified with points in the plane, visually it is very appealing to all ages,” Dr. Kalantari explains. Visit www.polynomiography.com to explore. When reading Tell-Tale Heart by Edgar Allen Poe with students, I rely on an amazing website full of free lesson plans and links to everything you need. www.readwritethink.org For this one, I read the story in a scary voice, the room dark, only the words projected while the students predict the next twist. Then they have the option of creating a comic strip about it. They can use the comic creator if they don’t want to draw it themselves. It’s as simple as having students recreate folk art from a certain time period and a culture and presenting it with facts and information. The inspiration matches the assignment giving each student a firm grasp of the value of an individual within a larger segment of society. Visit www.folkartmuseum.org or www.mexican-folk-art-guide.com for more ideas and information. So happy to add to your experience. I hope to help inspire educators with the same ideas and innovations I also find useful. What better way to start than with art? Quite an extensive summary! I would like to know what art teachers think about this! I would like to know too. Share this with any art teachers you know and then let me know what they think. Thank you for reading. They’re very useful. They’re a great way to add depth and interest with the necessary creative elements. 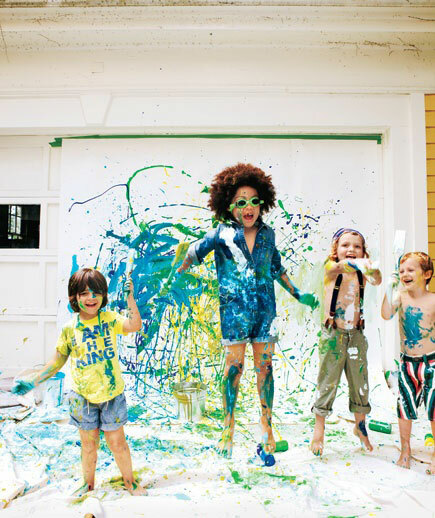 Art lessons will help enhance your kid s imaginative side. Children who are subjected to the humanities at an early age have high self-esteem and incredibly expressive. The arts may help create their psychological and emotional development. Without art, a child might as well shelve their love of anything. No one needs to even be able to draw a straight line to express themselves creatively. So, to deprive anyone, let alone a child, of expressing themselves through art leaves a person psychologically and emotionally distraught. It’s good to know that teachers like you are willing to investigate ideas and take the time to introduce them to students. It shows that with a little love and faith we can keep all kinds of art alive. I think many of these projects are fun and interesting ways to infuse hands-on projects into the curriculum, but saying that it is integrating Art is a bit misleading. True integration occurs when a subject is taught in a co-equal approach by a team of teachers working towards similar learning objectives. All involved are certified in their specific subject area and find overlapping methods and means to highlight their area of focus within making a work of Art or studying a principle using Art methods. It makes me nervous to think that just because someone stacks some marshmallows as a class project, they will think they are making art with their students. There is more to it than the act of making something – there is the critique of it’s ability to connect with the viewer, the elements and principles used to create, as well as the importance of having an authentic audience to respond to the work made. Arts integration is more than just picking a project or two from a list. Of course, there’s always more to learning than touching the surface; however, that doesn’t mean you have to wait for a team of teachers to approve the integration of art into daily lessons. Adding visuals and artistic elements to even the most simple lesson means more students find interest and understanding in what they learn. Very good piece, I personally think using the word art is very misleading and often off putting for those who have not studied or participated in a practice under the heading of art. For me “the purpose of art is to evoke in oneself a feeling that one has experienced, and having done this, then by the means of movements, lines, colors, sounds and forms expressed in words, one is able to transmit this feeling so that others may have the capacities in oder to experience this same feeling  this is the activity of art. No one felt a stigma or saw the towers of the hierarchy when they where children sticking painted hands to a canvas. Words can carry heavy values, Art can transform situations but first the artist should be allowed to breath unhindered. So true! I have students that think they can’t accomplish even a simple assignment when the word “art” is mentioned. So it’s also important to encourage them. I give them ideas and once they realize art in association with any particular subject doesn’t mean you’re painting a Monet, they ask for more art assignments. It’s rewarding for me to see this happen because all of us loved creating when we were little, but as we grow up we forget the priceless wisdom and freedom in art. It’s great to hear that you found it useful. Too many times, I read educational pieces that just aren’t helpful in very practical terms. I’ll definitely contact, you and I look forward to reading your article. him to do the skill at a normal pace and patience will be needed by the trainer. Thank you for posting this. All my children are artistic and I find it difficult to engage them in other subjects. I home school and this past year was our first one out of the brick and mortar environment. I learned that they were lacking in every subject. I hope that this next year I will see a great difference in their interests and concentration with the information you provided by integrated their talents. Since I am artist myself I’m looking forward to sharing with them the incredible world out there through art. Thank your for sharing this amazing article! Integrating arts into other lessons especially Math is a great idea to make the students more interested on other subjects.